A bike track day (motorcycle track day) is where you take your own Motorcycle to a Circuit to ride it on the track. There are no restrictions on speed, but riders are required to keep within their limits and abide by track regulations. Please view our calendar which now includes the 2019 bike track days. Keep an eye out for special events marked in yellow. 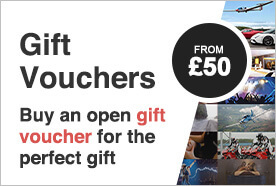 The loyalty card is the perfect gift for someone who regularly attends own vehicle track days as it entitles them to a 10% discount on unlimited car and bike track days. What happens on a bike track day? Most motorcycle track days run in groups, where riders are split into beginner, intermediate and advanced ability and will take turns out on track, usually in one 15 to 20-minute session per hour for each group. Circuit marshals monitor the events to ensure everyone on track is kept as safe as possible. To participate in a bike track day, riders require a full-unrestricted licence and full leathers (or 2-piece leathers that zip together 360 degrees around the waist). 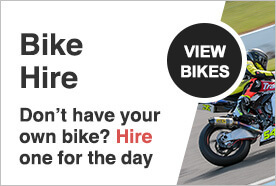 If you would like to host our bike track day events on your own website the instructions are on our bike trackday rss feed page. Our developers will be more than happy to assist you in styling the calendar to match your website design.